Thanks a lot to Barnes and Noble team which helped me arrange my Author signing at Barnes and Noble stores in Gaithersburg, Rockville and Bethesda, in MD,USA. Creativity and Innovation has always fascinated me. I love to write and writing makes me very happy. Thanks a lot Farah for arranging this wonderful Author Reading and Signing for my book at your beautiful home in Manhattan New York. on April 9,2016. The evening was true Mughal style with beautiful shenai music in the background with rose petals immersed in water in silver beautiful vessels giving not only nice aura to the setting but also took everyone present to the era of Mughals of India. There were beautiful silk Cushions of Emperor Shahjahan and his queen Mumtaz Mahal on the royal vintage style sofas. Yesterday March 20, 2016 in Washington DC, I had the honor of listening to Pankaj Udhas live in concert from the front row. I was mesmerized by his voice. When he sang a ghazal on "Mother", I was weeping and remembering my mother who has left for her Heavenly abode. Many in the audience were also weeping and listening to that. Pankaj ji , got standing ovation from the audience. Bollywood, Hollywood and film personalities around the globe have always fascinated me as they are very creative people. I love Creativity and Innovation. On Monday November 30, 2015 I had the opportunity to attend special screening of "The Danish Girl". ( Courtesy: DC Filmmakers). Although the weather was rainy on Monday but I really wanted to see this movie. ( http://afshanhashmi.com/the_modern_mughal_mentality1/ ) is about Jugaad, a Hindi buzzword in today's western world about Creativity and Innovation My book is already a best-seller on Amazon in a category. Also my book is Hot #1 New release in a category at Amazon. Recently I got the opportunity to see India Award-Winning Documentary 'Daughters of Mother India'. Thanks a lot to Indian Embassy at Washington DC, USA for giving me this opportunity to see this wonderful documentary along with sumptuous dinner. Although I was only invited to see the movie but after seeing the movie, it impacted me so heavily on my emotions, that I decided to review it. I told my decision to Indian Embassy officials as well as Vibha Bakhshi the filmmaker of this documentary. All of them welcomed my decision of reviewing this movie. 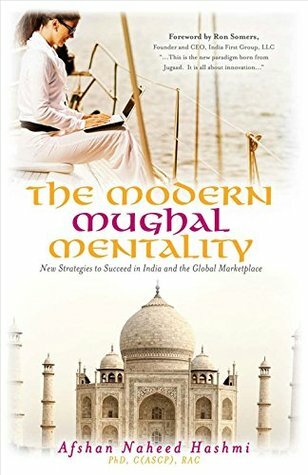 ( http://afshanhashmi.com/the_modern_mughal_mentality1/ ) is about Jugaad, a Hindi buzzword in today's western world about Creativity and Innovation My book is already a best-seller on Amazon in a category as well as Hot #1 New release in a category. People around the globe ask me how do you overcome "Author Block". One of the strategy I employ to get over Author block is to see the Art of different artists. It motivates me immensely. I was having Author block and so I visited Washington Art works on their Open Studio weekend. Film Review of the Bollywood Movie "Prem Ratan Dhan Payo"
Hollywood and Bollywood has always inspired me. Filmmakers are one of the most creative people. Being a film reviewer I get to meet many filmmakers. When I talk to filmmakers their discussion is full of intellectual and creative conversations. Those conversations inspires me to be more creative.